Ontario’s proposed new rules for recreational cannabis would allow licensed producers to sell marijuana to consumers at cultivation facilities, a move that gives producers the ability to curate “customer experiences” and opens the door to new branding opportunities. Ontario’s Cannabis Statute Law Amendment Act was introduced in the Legislature on Thursday. Licensed producers have lobbied provincial governments to allow so-called “farm-gate” sales since late 2017 in the hopes of creating “a wine country-type of experience” when marijuana is legalized Oct. 17. So far, only Newfoundland has given a licensed producer permission to set up a retail store at a production site; Canopy Growth will sell its products at a Tweed store in that province. Industry sources say sales at production centers will allow companies to showcase their brands – an important luxury for businesses facing severe restrictions on marketing. “There’s something to be said about going to a brewery and seeing how beer was brewed. It’ll be the same for cannabis,” said Deepak Anand, vice president of Toronto consultancy Cannabis Compliance. Ontario is home to about half of Canada’s 118 cannabis production licensees. Allan Rewak, executive director of industry body Cannabis Canada Council, said he’s pleased the government is allowing sales at marijuana production centers. 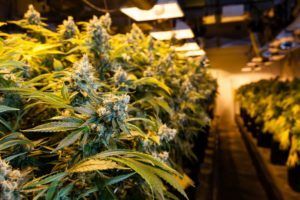 Producers have expressed interested in winery-type experiences for the cannabis industry, he said. “Many licensed producers are eager for that,” Rewak said. “It makes a lot of sense. “In many ways, cannabis is lateral with wine. Emblem Cannabis, based in Paris, Ontario, believes an on-site store will improve access to its adult-use products and brands – and will ultimately put the company in a better position to compete with the illicit market. LPs will still be restricted to one retail outlet each, even if that location is at the production facility.